The course gathered 40 leading linguistics professors who have taught Vietnamese in Cambodia, Thailand, Canada, France and Germany, among others. 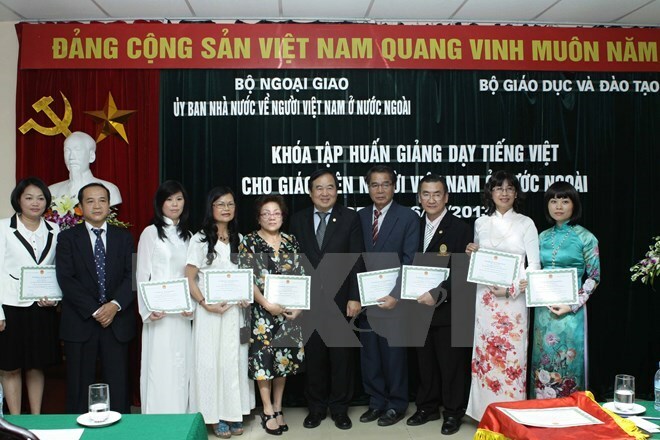 Addressing the opening ceremony, Deputy Foreign Minister and Chairman of the State Committee on Overseas Vietnamese Affairs (COVA) Vu Hong Nam said his agency and the Ministry of Education and Training have co-organised similar courses since 2013 to provide manpower for increasing learning demand abroad. The training programme helps teachers directly exchange working experience and share learning situations in difference countries with the course’s coordinators to promote teaching and learning activities.